Illustration made for my last assignment, a liitle guide book cover, which intended for international tourist who want to visit Bandung City - Indonesia. The title of our guide book is "Colorful Bandung: The Fabulous Memories". Paper: Canson (B4 size) Media: Fineliner, marker You should come visit our city Bandung!! Illustration made for my last assignment, a liitle guide book cover, which intended for international tourist who want to visit Bandung City - Indonesia. 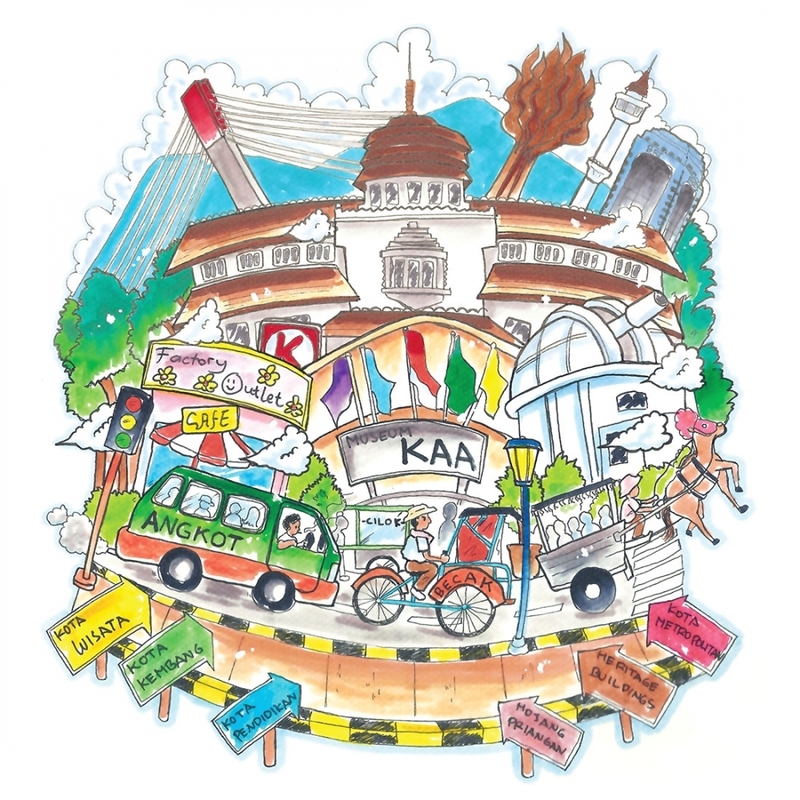 The title of our guide book is "Colorful Bandung: The Fabulous Memories". You should come visit our city Bandung! !